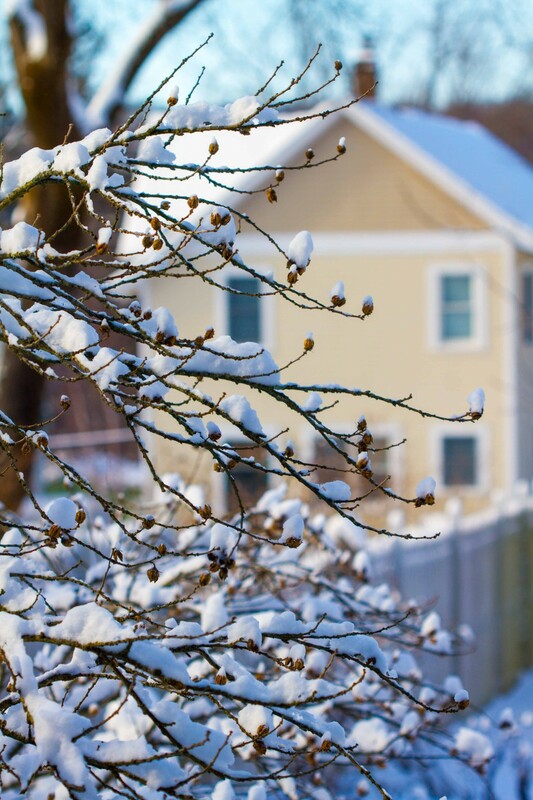 The snow started early on Friday and did not relent until the following morning. 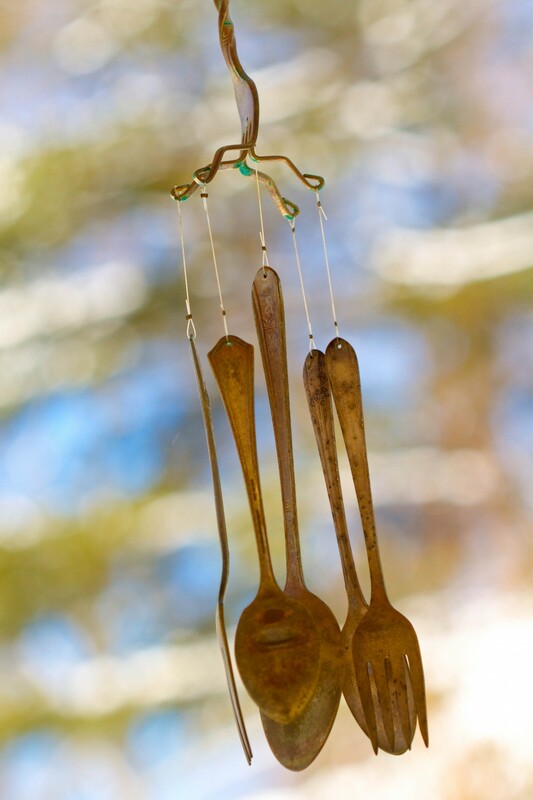 Upon waking, we were met with the sun peeking into our bedroom windows giving the promise of a beautiful day. 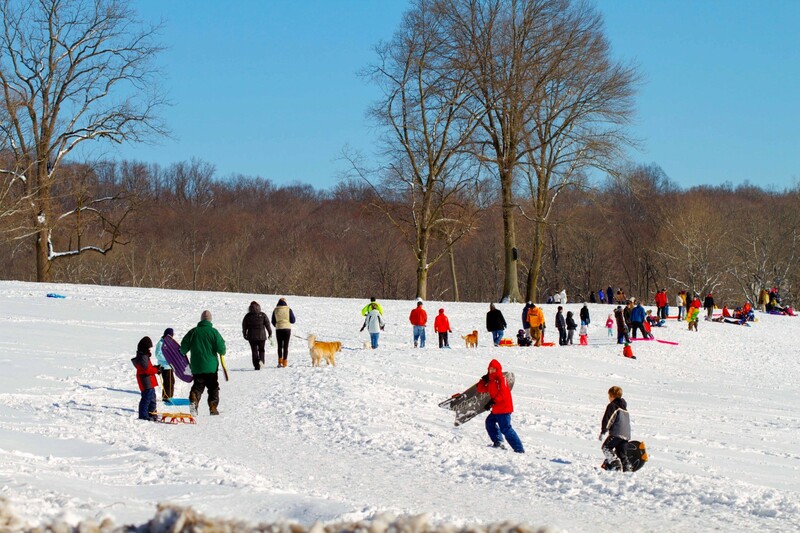 Sun, warmer weather and just enough snow to make sledding, snow ice cream and snowmen possibilities fulfilled this promise. But first, before venturing out, we shared a special breakfast together. We fortified ourselves with paleo banana pancakes made with almond and coconut flours, mashed banana and eggs. They were the perfect accompaniment to our wonder at the beauty of God’s creation in the snow. 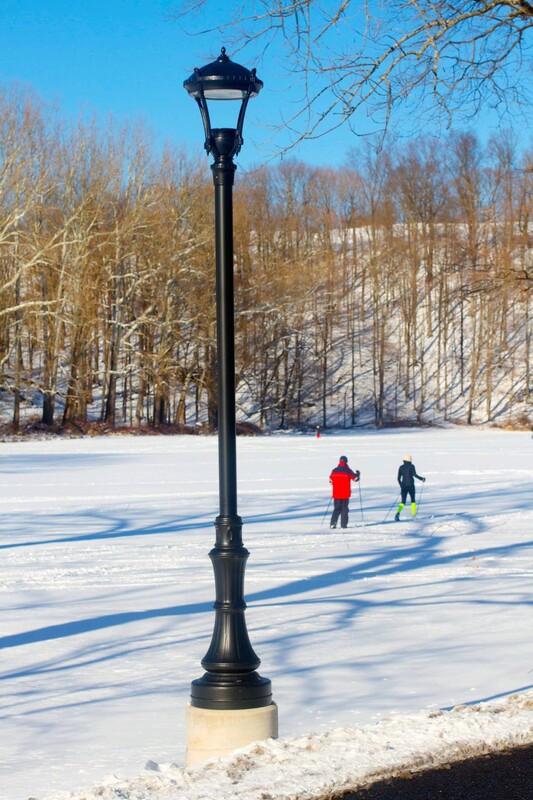 After devouring pancakes and bacon, and feasting our eyes on the snowy morning outside our windows, we decided to head to a nearby estate-turned-park known as Natirar. 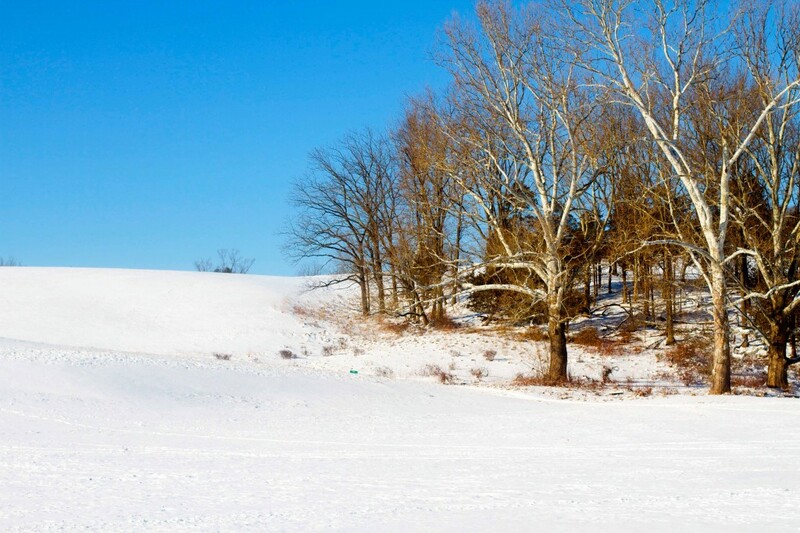 The crystal blue sky, the sparkling white snow and the giant sycamore trees greeted us. 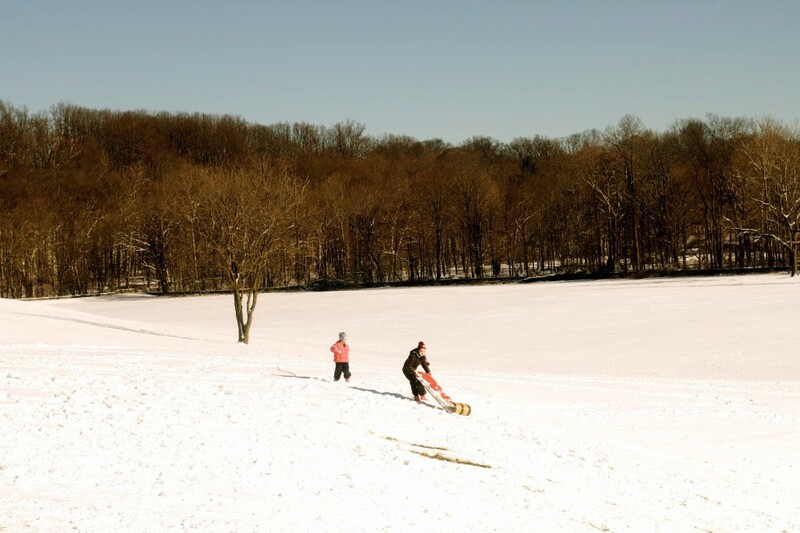 We thought it would be fun to make use of the pristine snow and venture sledding on the rolling hills. It turned out a few others had the same idea. I thought I’d keep it as a pet and let it sleep with me. I made it some pajamas and a pillow for it’s head. 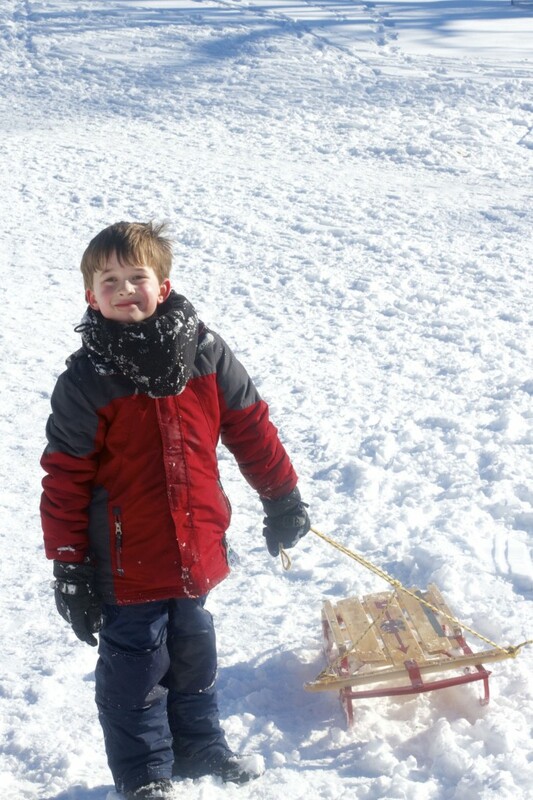 It was a fine day in the sunshine and snow filled with the beauty of nature and the joy of life exemplified by frolicking children and adults. 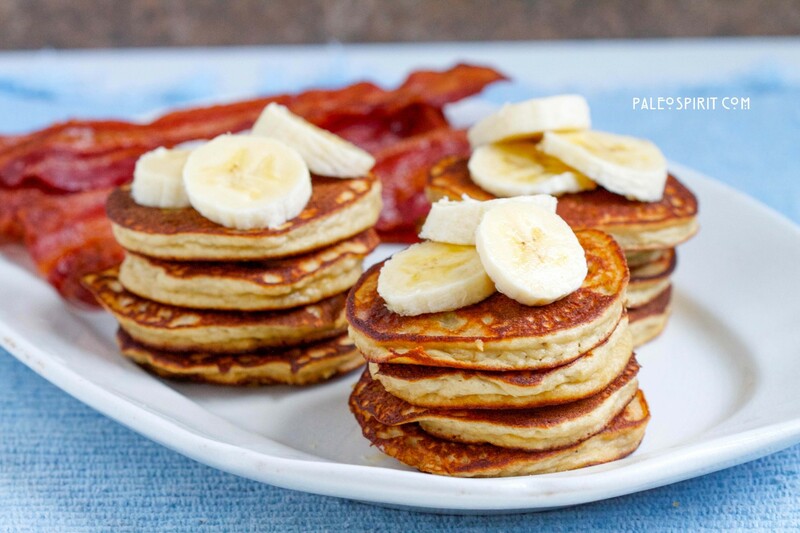 One of the great things about these Paleo Banana Pancakes is they are sweet without any type of sweetener other than the bananas. The almond flour is rich and gives the pancakes moisture and great body. I added coconut flour because I think the two work in harmony with the coconut keeping the almond from being too heavy and oily. In a medium bowl or the bowl of a stand mixer, whisk together the coconut milk, mashed banana, eggs and vanilla. Cooking paleo pancakes is more of an art than a science. The blanched almond flour seems to work better than other almond flours or almond meal. Coconut flour can be finicky so you may need to adjust the liquid to get the right consistency in the batter. The mixture will be fairly thick but if you think it is too thick to pour you can add a little more liquid. If the batter is too thin you can add just a touch more coconut flour. But be careful with the coconut flour, a little goes a long way. 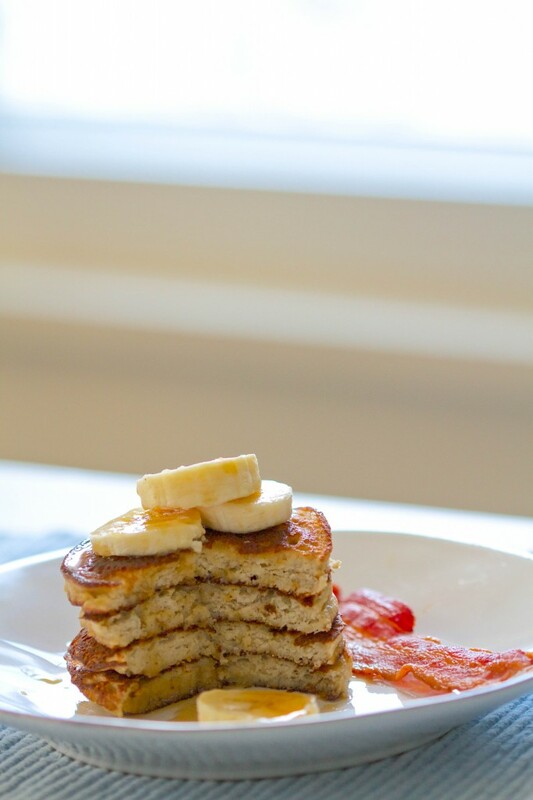 Check out my fluffy coconut flour paleo pancakes recipe for a different take on the paleo pancakes genre, especially if you are cooking for someone with a nut allergy. There are quite a few comments on that post you might find helpful regarding readers’ experiences using coconut flour. I would love it if you found Paleo Spirit on Facebook and Pinterest. 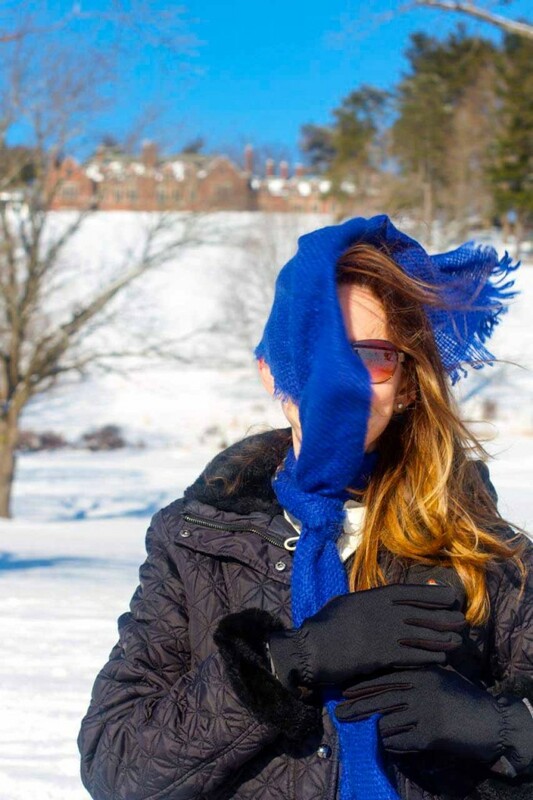 76 Responses to "Paleo Banana Pancakes and a Day in the Snow"
I am reading this from sunny Florida so am truly enjoying your beautiful snowy pictures but perfectly happy to be enjoying warmth and sunshine. I do want to try out these yummy pancakes. When your recipe calls for full fat coconut milk, is this canned coconut milk or refrigerated carton coconut milk? It’s a cloudy day here so I wouldn’t mind a little Florida sun! I typically use canned coconut milk and that’s what I did when I made these pancakes. The coconut milk in the cartons can have some ingredients that I try to avoid but I have definitely used it in the past. I think that would work in this recipe just fine. The difference will be the fat content and the thickness. You might need to make slight adjustments for that but all-in-all the recipe is probably flexible enough to allow you to use either. Thanks for the comment Lea. So, in the recipe you do want the thickness of the canned coconut? Sorry, just wanting to clarify. I think the biggest variable is the coconut flour – people tend to have varying results because of differences in brands. The milk thickness is probably less important. I would imagine you could make this with a thinner coconut milk or even whole milk if you tolerate dairy. My son and his girlfriend came over last night and were famished. They are both vegetarians and with me being Paleo, sometimes it makes it a little difficult for us all to share a quick bite. Let’s just say on a spur of the moment visit, your banana pancakes were a complete hit!! They turned out as pretty as your picture and the taste was sinful!! I did not use the oven, I used a flat pan on my stovetop. Medium heat for me is with the knob for the burner literally in the middle of the heat range. Not sure what that translates to in terms of temperature. And if you use a gas range then yours might be different from mine. I think the best advice is to get the pan fairly hot at first then turn it down so they cook slower and do not burn before the middle is cooked. Keep the pancakes smallish and you will have the best results. hi just wondering what did I do wrong I followed the recipe but my pancakes took about 20 min to cook and they were hard to turn over very wet to work with . I would love to chat diet, nutrition and wholistic health. I feel we would both benefit by sharing things that are mutually interesting we’ve learned. I’ve loved looking around your site. I hope you contact me. 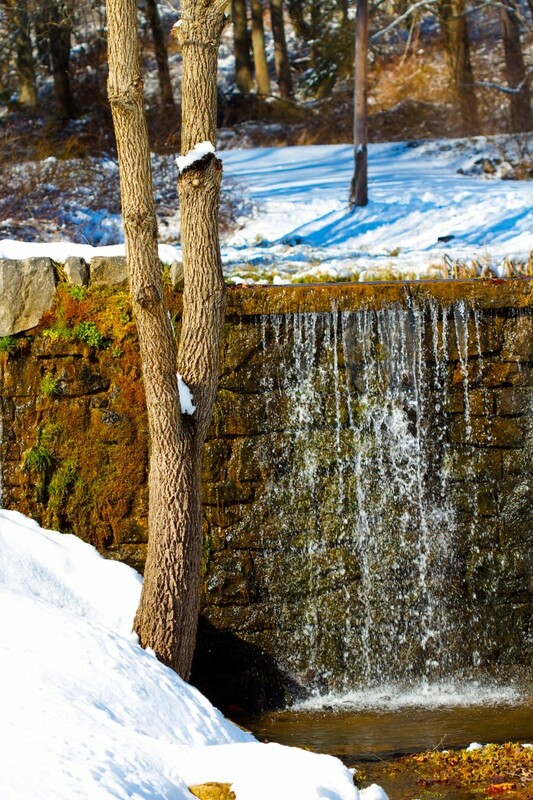 Thanks for sharing the beautiful photos, of both your life and winter! These pancakes look awesome and will definitely try them soon. These pancakes look great and those photos are AMAZING. I react to coconut milk, which is a bummer doing paleo, but I can tolerate small amounts of heavy cream. Do you think cream could be used instead? I was thinking on the lines of adding water to the cream. Love to know you thoughts. PS those photos look even better as I am in Australia and about to have a HOT day!!! Yes, you could use whole milk instead of the coconut milk or the watered down cream – as you suggest – in case you are avoiding the lactose of milk. We had some Australian friends here for a visit recently and they got caught in a snow storm before heading back to warm Australia! Good luck with the pancakes. Thanks for the compliments on the photos. Made the pancakes yesterday Lea, very yummy. I used heavy cream and it worked well. Had to use almond meal instead. Mine didn’t look like yours in the photo but they still had the YUM factor about them. We’ve made these 2 days in a row. They are just that yummy! They remind me of a old peanut butter pancake recipes we used to enjoy a lot! I topped these with butter, fresh diced banana, pear, and apple and a drizzle of maple syrup. Yummo! Thanks! Wow! Just wow. By far the best Paleo pancake recipe we have tried, and we have tried them all! Thank you! I don’t know how these would work with an egg replacement. I have never used one so I can’t guarantee any results. The eggs are a fairly important part of this particular recipe. You might want to look into what is known as “flax eggs”. One of my recent finds for egg replacer is Chia seeds … off the top of my head I want to say it is 1(seed) to 3 (warm-hot water) ratio. sometimes I don’t even measure them out anymore. I feel like this may work well but I haven’t tried it before. Some other egg replacer’s are tapioca and water, almond meal or flax. But I am not sure how the latter 2 will act in this recipe with almond flour and coconut flour already as part of the recipe and they are so dense…I am new to paleo , but I have seen similar recipes, in which people are just using bananas and eggs with great success. So in my mind I feel like the chia seeds will work the best…. I hope this helps. I use chia seeds to thicken my berry syrups for pancakes also. Loved your pictures they are great. I’ve been researching Paleo recipes since my doctor put me on the Paleo 30 diet in hopes of lowering my cholesterol. I’ve been eating more vegetables and meats plus fruits. I have to say its actually refreshing to eat foods that are healthy and good for you.. I’m dying to try the pancakes and the mini meat loaf muffins. Incidentally I’m trying to lose a few pounds and am wondering if the pancakes are ok in that respect. I’m impressed your doctor is recommending using paleo as a means to control cholesterol as well as weight. My personal opinion is when your goal is losing weight you should stick primarily to recipes for meats, vegetables, fruits, nuts and seeds. The paleo pancakes are meant more as a treat meal that you would not be eating on a regular basis. They contain ingredients that fall into the “paleo” category because they are grain-free, legume-free and dairy-free. They will not raise your blood sugar the way normal pancakes would. But I see them as something you might try when transitioning to a new way of eating and/or as a more rare treat. Sorry Lea I wasn’t wearing my glasses! This recipe was amazing….mine came out just like your pictures (which I have to add…your pictures are so beauitful). These were WONDERFUL!!! Thank you for sharing your talent & knowledge with us! This recipe is amazing! I added blueberries to the batter and a touch of honey on top – to die for. Thanks so much for sharing. Came across your website googling paleo recipes and tried out your pancakes this morning with home-made turkey sausage. The pancakes were great although they didn’t quite look like yours. I had to cook them longer because they were too mushy to turn. I did not use blanched almond flour, regular almond flour and unsweetened almond milk. same experience with me… still on the stove. very tasty. Next time, I’ll make sure the pan is hotter as well before I begin cooking. I actually put the plate of the done ones in the oven, just to make sure that they were dry enough on the inside. Was wondering if there are substitutes for coconut flours and oil for I hate coconut. Could you make the pancakes with only almond flour? You could certainly make this using something other than coconut oil. I’ve made them using butter and ghee. You could probably leave out the coconut flour but will need to adjust the amount of almond flour. The amount of coconut flour is small enough that it doesn’t end up tasting like coconut. It just serves to dry out the somewhat oily almond flour. Good luck. You could also use buckwheat flour. It’s a seed and not a grain. Quinoa or millet, also seeds. And you could grind up the seeds in a blender and make your own flour. You’ll have to experiment and decide on the texture and taste. Hello! I found this recipe on Interest! It looks amazing, however do you have a substitution for almond flour? My daughter allergic to tree nuts. Thank you! this will be my first meal after I come off of my Whole30 experiment this month! cant wait!! I followed this recipe but subbed the coconut milk for organic whole milk, and found they look exactly as they should. I did not find them hard to manage at all, and they are delicious! Great recipe. We topped them with a simple strawberry rhubarb sauce. Thanks for sharing. I’m in heaven! And so very glad I only made half a recipe – eek! I added some freshy ground cinnamon to the mixture and cooked them in a bit of coconut oil. I will stop looking for the perfect recipe now! I’ve found it! Thank you!!!! Hi Lea, I came across your site via pinterest. I have thoroughly enjoyed your recipes, and lovely pictures, quotes, and encouraging words. I do have a question about celtic sea salt. 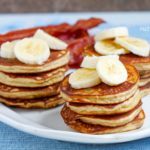 I’ve noticed that in your recipes, including this wonderful banana pancake recipe, you use celtic sea salt. Can you tell me the benefits of using this ingredient? Sorry I missed your comment! Thanks for the compliments on the photos. I use a Canon 7D with a 50mm f/1.4 lens for most of my pics. Made these for my boys this morning. Added cinnamon and pecans. They thought they tasted like banana bread. Thanks for a yummy recipe! Delicious! I’ve made these with almond milk with flaxseed meal instead of coconut flour. Today I finally made them exactly like the recipe indicates. And they were delicious. These are the only pancakes my tow and half-year-old will eat. Thank you for such a great recipe. You’re welcome, Maria. I’m happy you and your two year old like the pancakes. Thanks so much for the feedback. I was snowed in today and worked remotely from home. Before I got started for the day, I decided to make your pancake recipe. I have been eating primarily a paleo diet for about 9 months and had yet to make any cakes or bread type items. I had a couple of really ripe bananas hanging out on my kitchen counter and I wanted to get some use out of them. I used almond meal because that was all that I handy. I also sliced one of the bananas and added piece to the top of the batter when the pancakes were cooking. I had a few walnuts available and crushed them up and added them to the top. The pancakes turned out great. They were such as nice treat for breakfast. I will defintely try them again with the blanched almond flour. They were not quite as fluffy as a standard pancake, but they really hit the spot this morning with my cup of tea. I drizzled two warm cakes with real maple syrup and topped them with a small pat of butter. Yumm. I even got my “non-paleo” adult daughter to try them and she said they were pretty good. Thanks for the great feedback. I’m really happy you liked the pancakes and your “non-paleo” daughter liked them too. I’m snowed/iced in today too. Stay warm! Hi….I was wondering if the batter will keep refrigerated overnight? Yes, I think that would be just fine. Hi there! 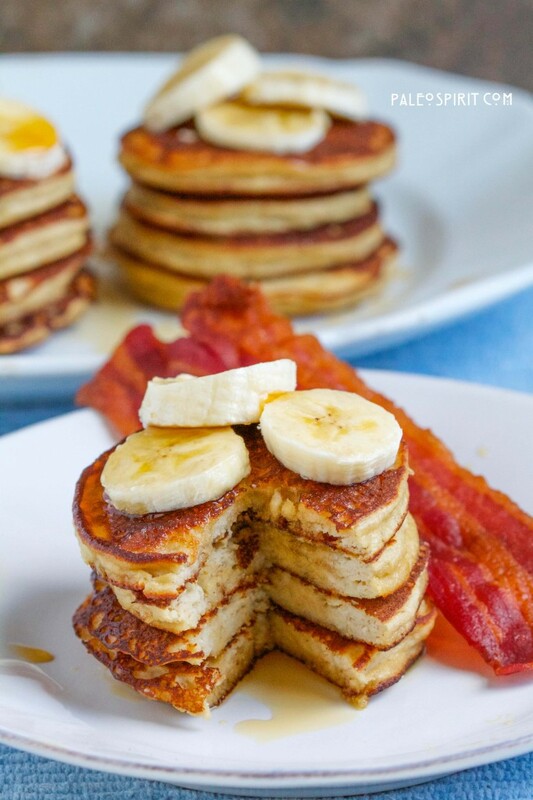 I love your Paleo Banana Pancake recipe! My 5 year old daughter is very picky, however, she had 4 pancakes this morning and asked for more! Thanks for sharing! Wonderful. Thanks for letting me know! they look super delicious and amazing. Stumbled on your website while finishing breakfast 🙂 I was searching for make ahead paleo breakfast meals. If I were making these for the week, would I freeze or just refrigerate them? Hi Leah, Sorry for the late reply. I just saw your question. If it were me I would probably just refrigerate them. But if you think you will have them longer than about 5 days then you should freeze them just to make sure they stay fresh. Great recipe! My huaband said they were the best non-pancake pancakes I’d ever made. I left out the honey, added a bit more banana and some cinnamon. You are so so right about the pancake size and the cooking time! I ended up doing 2 mins the first side, and 1 min on the 2nd side. I just made these pancakes and the favor was delicious! My pancakes did do not look like yours, but I used all almond flour. It was hard to flip, but they tasted great..my family loves them! Thanks for posting! You’re very welcome. They do take a bit of practice to flip but well worth it. Awesome pancakes! We are not “paleo”, just GF. I did not have any coconut flour, so I substituted Jule’s GF flour for the coconut flour and they turned out amazing! Thanks! Hey, thanks Erika. That’s good to know! I just made these for myself and my 4 year old. Thank you for this recipe! I finally feel like I have a go to paleo pancake! I followed the recipe exactly and added the optional honey. They were fluffy without being too dense, and they had a very mild sweet flavor. My son said they were delicious! 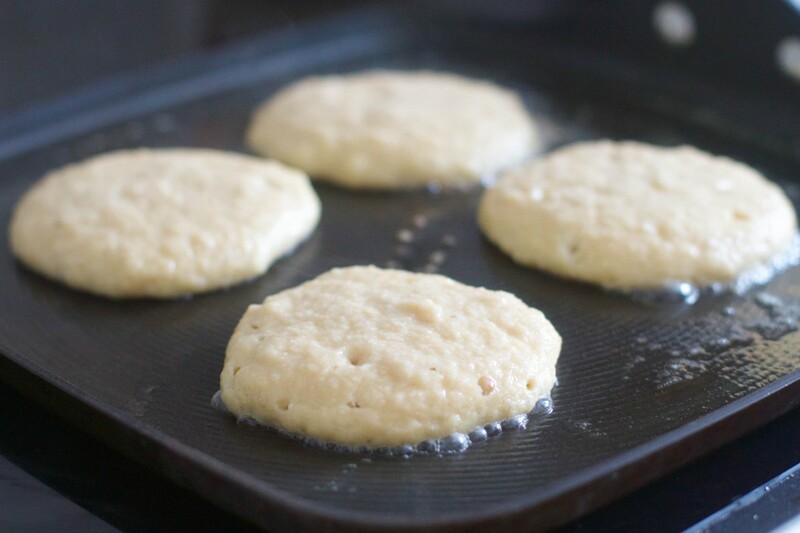 You definitely have to flip them before they look dry and bubbly like traditional pancakes, and spreading them with the spoon helps them to thin out just slightly so that they cook all the way through. Once I saw one or two bubbles break the surface, I flipped. So good! I made these over the weekend and they came out great! Everyone else – all non-Paleo – loved them. Even my super-picky kiddo. I used duck eggs instead of chicken. To prep and cook a whole batch took me close to an hour (including washing the eggs), but I had several days’ breakfasts so it was well worth it. (Heated up the leftovers in the toaster – perfect.) Tomorrow my 3rd grader has standardized testing and requested these for breakfast, so I just made my second batch and had the same results. To people who have trouble flipping, you have to be patient and wait until the bottoms are cooked before flipping – and the smaller ones do work better, like you said. After I flip mine I kind of pat them down with the spatula to help them cook through better. That’s great, Leslie. I love it when the kiddos like the pancakes. And we’re gearing up for testing next week too. Argh. It’s a good reminder that I should do exactly what you are doing in preparation! My third try with coconut flour pancakes, and these are the best. I used almond meal, and ground almonds, coconut milk and the rest. Just added cinnamon, nutmeg and allspice, and they are yummy like mini-banana breads. Turned out picture perfect, despite the liberties I took with the recipe. Picky 13yo DD even liked them. Thanks for sharing it! it is a lovely Sunday morning and I wanted some pancakes to start the day. I have tried other paleo pancake recipes without success. I stumbled on your recipe and made, what I am now calling, the best paleo pancakes. 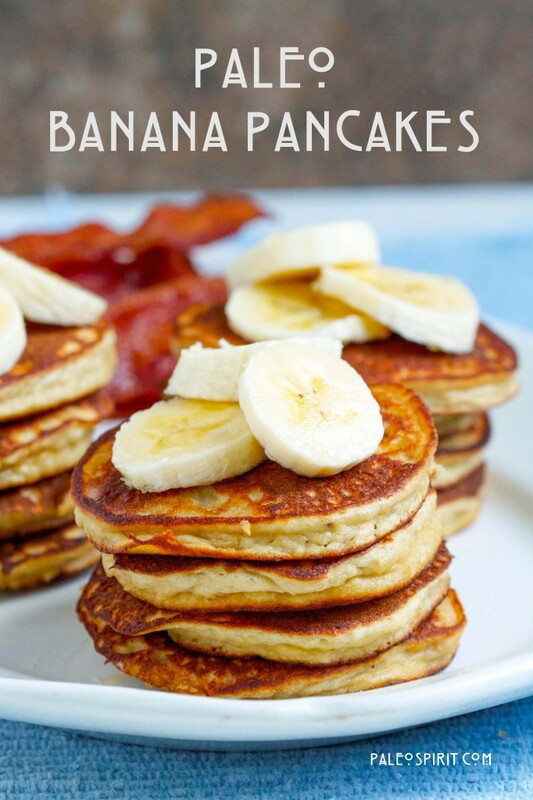 Thanks so much for posting this recipe as it produces excellent pancakes. This is definitely a keeper! 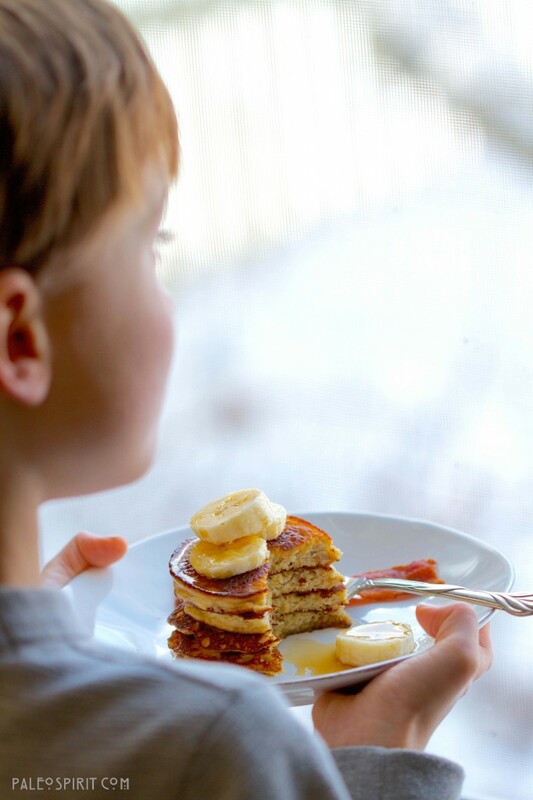 I made these pancakes and tasting them once they were cooked, never in my wildest dreams did I think my kids would like them, but they love them, so we now have a healthy alternative for breakfast. Thanks so much, Lea, from us on a not-so-chilly winter’s day in Cairns, Australia! Can these be made ahead and then frozen and reheated? I have done it. They aren’t quite the same – as you would expect. But I think they are still good. Hi. How “sticky” should these be? I had to add more than 3T of coconut flour and they were still fairly wet. Even with flour on my hands the dough was sticking to my fingers but ok on my palms. It’s more an art than science. So I tend to just add more flour slowly – trying only to add as much as possible to keep from sticking if I have my hands covered in tapioca/arrowroot. That said, you don’t want to get too much flour because the rolls can become too dense. It can be tricky. Good luck! Those poems took me back to childhood. We had to memorize that Robert Frost poem in fifth grade, and I just loved Where The Sidewalk Ends. Can’t wait to go & check out all your recipes! If you’d like, I have a recipe for steak pizzioala that I’ve made for years & didn’t even realize it’s really Paleo! Hi Clara, Well, I am answering comments. Although, as you can see, it does take me a while! Working full time with two boys has made keeping up a bit tough. Thanks for your patience. I’m so glad you like the pancakes and I’m interested in the subs that you made. I love the husband comments about “real” as though they would otherwise be imaginary or something. lol My husband has said the same thing. Too funny. I’d love to see the steak pizzioala recipe. Cool! Thanks for letting me know. Glad you liked them.